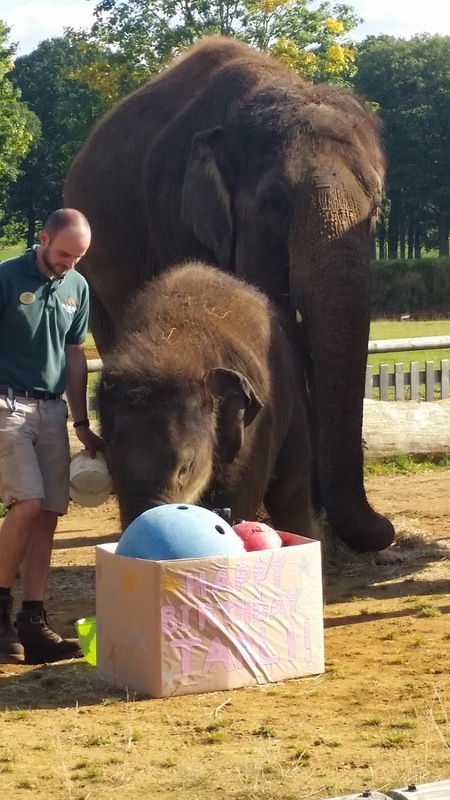 Woburn Safari Park reached a milestone last week. 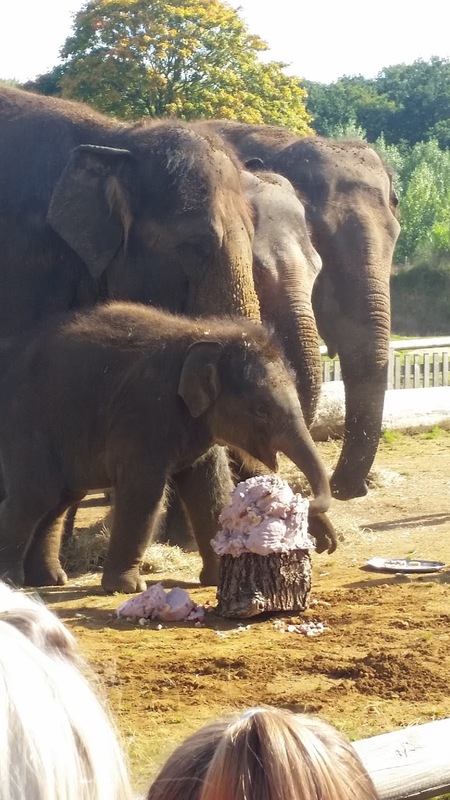 Tarli, their baby elephant, turned one! 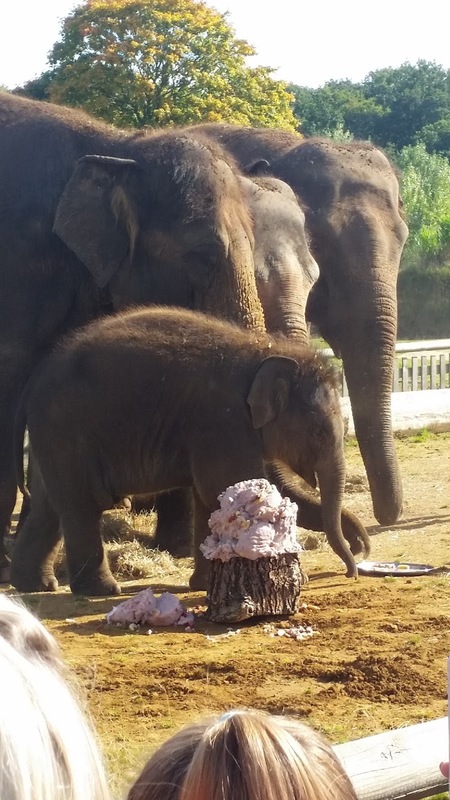 I had no idea of any of this before I arrived, but it was the best surprise ever. 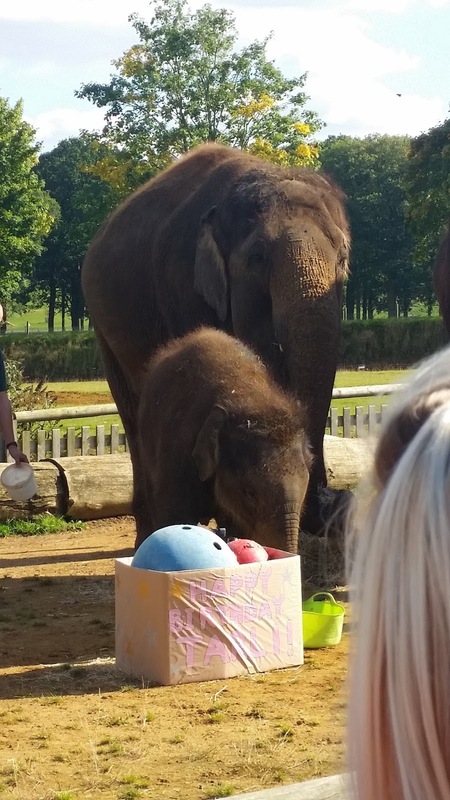 There was cake, footballs, hay, and a very happy little elephant. 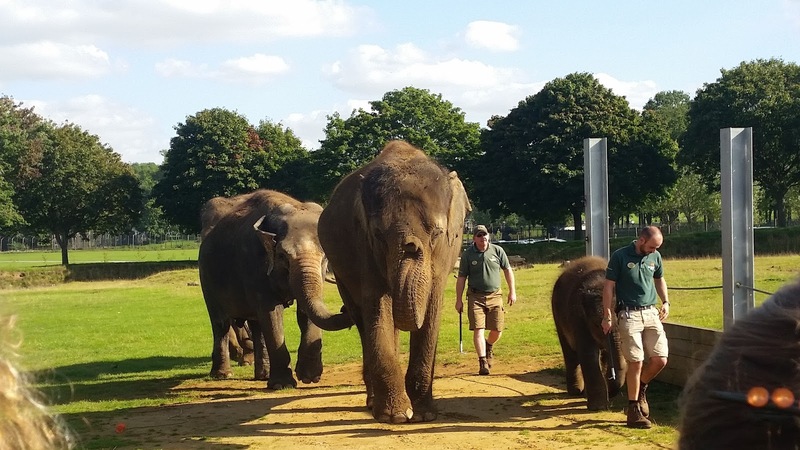 It has also inspired me to work towards a month's trip to Cambodia to volunteer at an elephant conservation park. If anyone has done this, I would love some advice/tips on how best to be of help and make the most of my time there. So definitely stay tuned for my plans! Sorry about the less-than-great photos, this whole event really did take me by surprise and I was rather hyper and didn't take the time to take great photos.